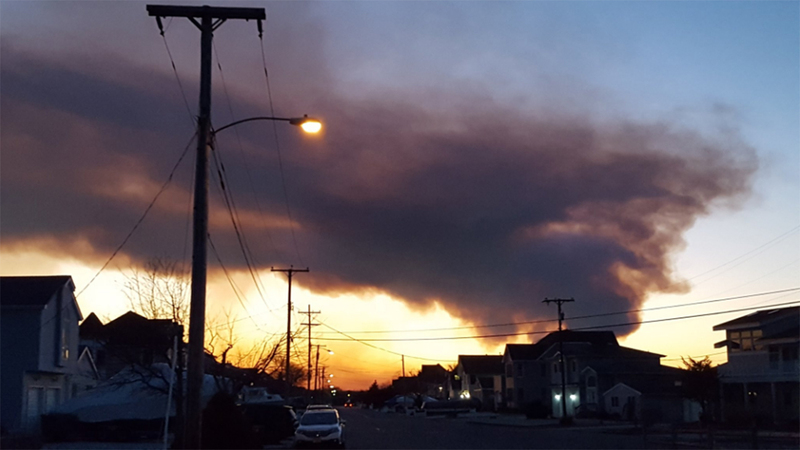 MANCHESTER TWP., N.J. (WPVI) -- Firefighters have contained a blaze that burned about 570 acres of the Greenwood Forest Wildlife Management Area in southern New Jersey. State officials say the fire that was initially discovered around 10 a.m. Sunday in Manchester Township didn't cause any property damage or necessitate any evacuations. They said Monday that crews are still monitoring the remnants of the fire and will strengthen containment lines if needed. The Greenwood Forest site spans about 29,000 acres, mostly in Ocean County.